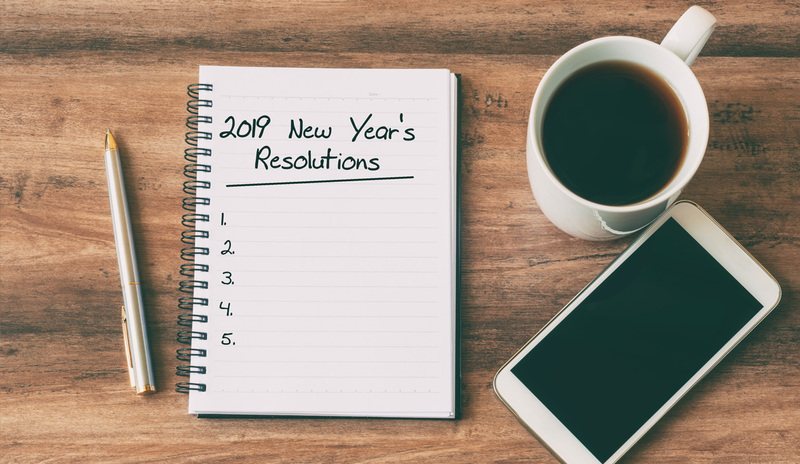 As we progress rapidly into 2019, everyone seems to be focused on self-improvement; from gym commitments to organizational oaths, resolution lists aim to keep people on a track headed towards success and growth. Resolutions can prove to be handy in other aspects of one’s life as well, including your business. The New Year is the best time to examine your current practices, set goals, compose new initiatives, and create opportunities for your content to truly shine. Here are five resolution ideas for your company that can revamp, restructure, and refresh your strategic marketing plan for the next 365 days! 1. Place a new focus on SEO and keywords. When creating online content, we all know that it is extremely important to achieve good search engine optimization. This practice is quickly becoming a cornerstone in marketing and content creation, so if you are not utilizing proper keywords, meta data, tags, and links, you may not be reaching a considerable portion of your target audience. A great resource to consider if this resolution is top at the top of your list is the Google Keyword Planner, which is a simple tool that allows to you find relevant keywords aimed at putting your content in front of more people! 2. Revise your marketing formula. With new channels of communication seeming to open every day and current ones constantly fluctuating in popularity, it may feel difficult to keep up with what content marketing formulas are the most powerful for your company. If you are routinely producing content in the same format and on the same channels, it may be beneficial for you to consider implementing new content types (blogs, video, new social media channels, etc.) or structures to introduce some variety. Working outside your usual format shakes things up for both your audience and your staff, shedding new creative light on old practices. Here are 52 content format ideas for inspiration! 3. Start putting quality over quantity. The new year is a great time to evaluate what is and is not working for your brand; taking a thorough look at all of your marketing efforts and seeing what channels are the most successful is an easy way to refocus for efficiency. Yes, being able to put content on a variety of platforms is great, but if your audience is not receptive or the quality of the work is comprised, it may be best to concentrate on the channels that garner more desirable results. 4. Utilize your team to its fullest potential. One way to ensure that new ideas will be circulated in your business is involving more than just your public relations and marketing teams in your strategic planning. Bringing fresh perspectives into the mix when creating new content will not only empower your entire team, but also offer new inspiration for future marketing efforts. Read here for more reasons why it pays to get everyone involved! 5. Update outdated website content. While this may seem like a task that should go routinely completed without saying, it is one that companies often overlook. Having multiple team members review your page for dead links, outdated event information, content organization, and general usability could make users more inclined to use your services and better your reputation. Strategic marketing is ever-evolving as the years continue to pass, and we need to ensure we are evolving along with it. Choosing to implement just one of these resolutions could result in a beneficial change, and there is no better time to improve than the present! For more resolution ideas, check out this great article from Business2Community!